Small Beauties was created for the State and National Flower Exhibit here at EBSQ. 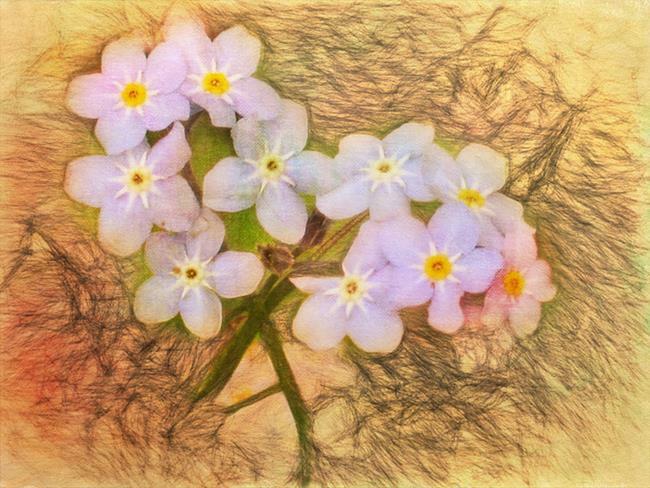 Forget me Nots are such delicate and sweet flowers. They are the State Flower of Alaska. I took this photo when I was out with a friend at a lake near her home. They were growing wild. I took them into Photoshop and worked on the background with textures and different colors. The shape and composition of the flowers have remained the same.